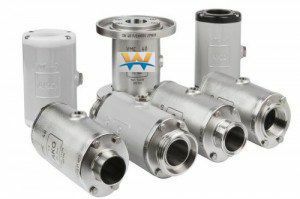 Stainless Steel and Aluminium Pinch valve connection styles include; flange connections, internal thread connection, NPT, tri-clamp connections, weld-on-ends, internal thread and RJT types. The flexible modular system for detachable and aseptic piping connections. 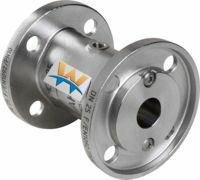 Flange Connection Internal Thread Connection G / NPT Tri-Clamp Weld-on ends Threaded spigot (RJT Connection) Threaded hose nozzle Connection Aseptic /Hygienic Connection. Any material streams where foldable such as liquids, pastes, slurries, powders, granules, pigments and other materials are pumped, blown, pushed, metered or flow by gravity through pipelines. Flange hole pattern according to ANSI 150# or DIN PN 10/16. Pinch Valves pneumatic and manual units, are reliable solutions for handling abrasive, corrosive, fibrous products and mining slurries. Valve body types available are; stainless steel, fabricated steel, aluminium, or plastic. JACO style pinch valves are also available. 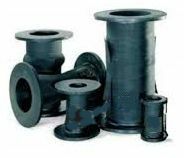 Pinch valve replacement sleeves are made from premium rubber EPDM, Nitrile, Hypalon, Neoprene, Silicon, and Viton. Replacement sleeves are available for all our Pinch Valves. Stainless Steel Pinch valve connection styles include; flange connections, internal thread connection, NPT, tri-clamp connections, weld-on-ends, internal thread and RJT types. Spacer shims and custom connectors are available to adapt to existing conditions at your facility. Flexible modular systems with diverse connection options, 100% full bore product flow and 100% sealing. Larger solid particles can be surrounded by the pinch sleeve and the flow tightly shut off. Older valves such as the JACO pinch valve lines, have replacement pinch valve equivalents available. JACO Pinch Valve CT model is a hand wheel operated, open frame clamp-on design allows for quick installation into existing piping. 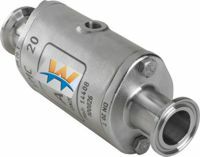 JACO Pinch Valve DV model is a pneumatic or hydraulic operated, frequent on/off media control. JACO Pinch Valve RT models is a pneumatic or hydraulic pinch valve. The RT can provide flow control and drip tight shut off. 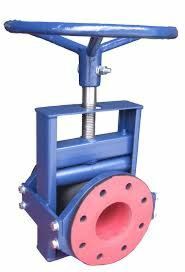 JACO Pinch Valve ST model is a hand wheel operated, open frame flange pinch valve for effective control of abrasive and corrosive flow media. There are many Pinch Valve variations available, Manual Pinch Valves, Pneumatic etc.. Pinch Valve sleeve replacements with variable sleeve material and configurations are order items for your particular Valve. Please call us with the particulars of your application, we will have a solution for most installations. USA Canada: Pinch valves, pinch valve sleeves, slurry valves, stainless steel pinch valves food industry, pinch valve sleeves, JACO model pinch valves, process control valves, treatment plants. . USA and Canada, by Westatlantic Tech Corp. USA: Texas, TX, Houston, New York, NY, Illinois, IL, North Dakota, ND, Iowa, IA, Ohio, OH, Michigan, New York, NY, Utah, Arkansas, Kentucky, KC, California, CA, Colorado, Denver, Louisiana, LA, Florida, FL., Pennsylvania, PA. Wisconsin, WI. Canada, Ontario, Oakville, Toronto, London, Hamilton, Mississauga. Alberta, AB; Edmonton, Fort McMurray Calgary. British Colombia, BC; Kelowna, Vancouver, Prince Rupert, Kitimat. Saskatchewan, SK; Regina, Saskatoon, Prince Albert, Esrevan, Swift Current. Manitoba MB; Winnipeg, Thompson. Quebec, QC; Montreal, Quebec City, Trois-Rieviers, Chebougamau, Sherbrooke. QC, Alberta, Saskatchewan, Manitoba, Quebec, New Brunswick, NS, newfoundland.